The De Morgan Foundation was established as a charity in 1970 to promote and care for the vast collection of De Morgan oil paintings and ceramics amassed and left in trust by Evelyn De Morgan's younger sister, Anna Maria Wilhelmina Stirling. 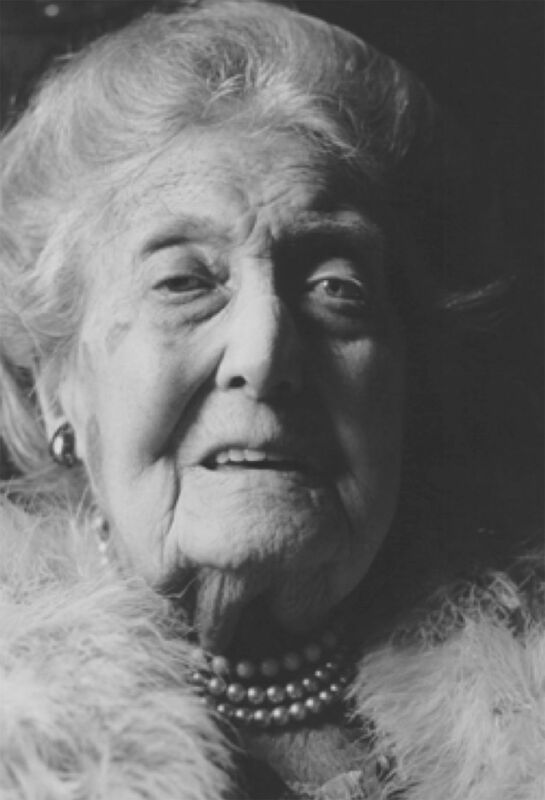 Mrs Stirling, as she was more fondly known, was by all accounts an eccentric personality with a great love of storytelling, publishing a number of successful novels and historical books over her lifetime. In 1922, shortly after the death of her artist sister and brother-in-law, Mrs Stirling published William De Morgan and his Wife, a touching and familiar account of the artistic couple. It is around this time too that Mrs Stirling began collecting De Morgan artwork in earnest. The core of Mrs Stirling's early collection of her sister's paintings came from the 1916 exhibition that Evelyn had mounted to raise funds for the Red Cross. Works such as S.O.S. (1914–1916) clearly depict Evelyn's pacifist ideas. We see the female form representing peace stretching up against the turbulent seas filled with evil water demons (see image on opposite page). Mrs Stirling moved to Old Battersea House in Wandsworth in 1931 and lived there until her death in 1965, just months before her 100th birthday. Throughout this time, she continued to collect De Morgan pieces, supposedly travelling around London to rescue De Morgan tiles from skips when the floral Arts & Crafts fireplace surrounds had been cast out in favour of more fashionable Art Nouveau styles. This tile panel in the collection has inconsistencies in the pattern where Mrs Stirling has used other De Morgan tiles to fill the gaps. She and her manservant, Mr Philips, would open the house up and give tours of the collection to groups of visitors. After Mrs Stirling died, plans to run Old Battersea House as a museum proved too expensive and the collection was removed. It returned in part in the 1980s when millionaire publisher Malcome Forbes invited it to be shown next to his Victorian Collection to the public there. The collection has since been shown at a number of locations including Cardiff Castle, Cragside in Northumberland, Knightshayes Court in Devon, Standen House in the East Midlands and The De Morgan Centre in Wandsworth. The De Morgan Collection is on long-term loan to Watts Gallery - Artists' Village and is free to view with admission.